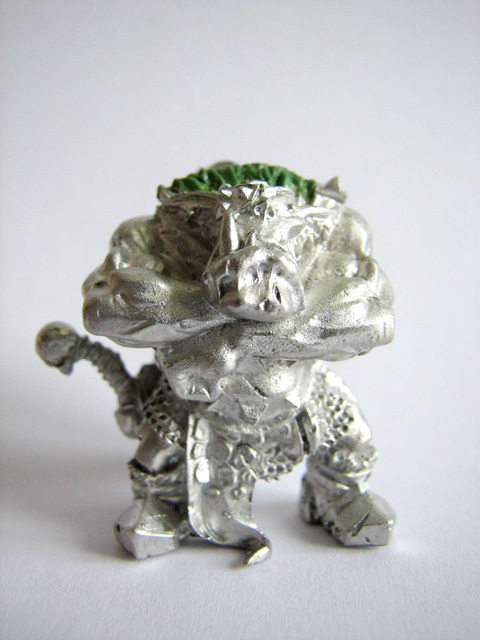 The release of the 8th edition of Warhammer inspired me to start to put together this Orc Boss, which was an exclusive miniature available only at Games Day 2007. I like the character and pose of the miniature but a few things didn't seem quite right, requiring some minor conversion work to make them more to my liking. It didn't receive any further attention until 2018, when I decided to make it a proper display piece with a plinth and a detailed paintjob as a test of my painting skills. 1. 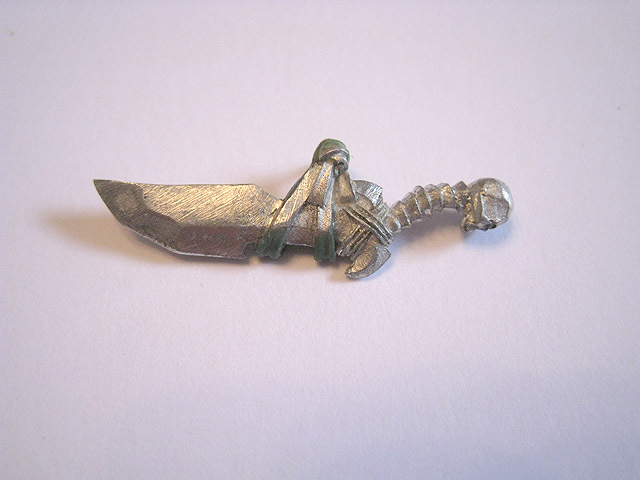 The original miniature had the sword on the Orc's left hip with the blade pointing forwards. This didn't make a lot of sense to me, so instead the sword is now on the right hip with the hilt forwards (making this Orc left-handed). The shield was rotated to sit more realistically at a slight angle on the Orc's back. The dangling trophy tails were bent to hang properly, giving them more apparent weight. 2. 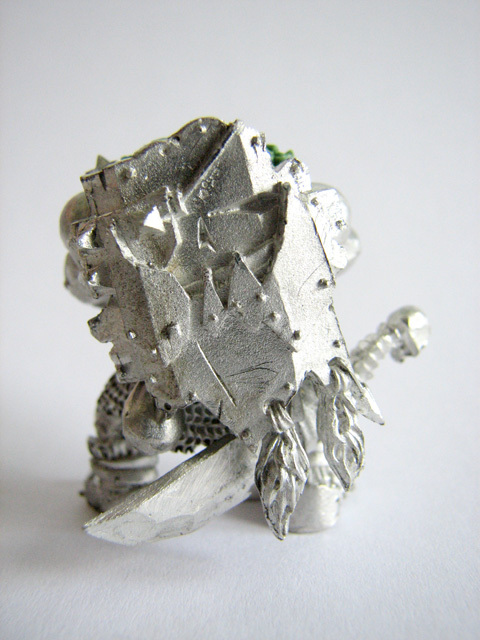 A view of the Orc from the rear. The original fur stood straight upwards and looked odd; this was filed down and some more realistic fur (lying flat across his shoulders) was sculpted using Green Stuff. 3. 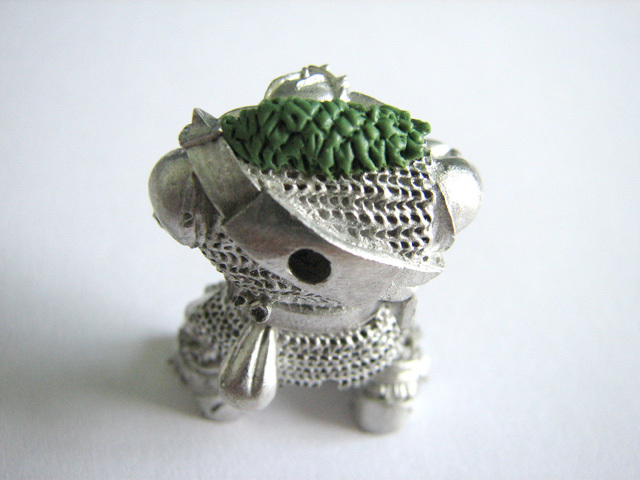 A detailed view of the resculpted fur on the Orc's shoulders. 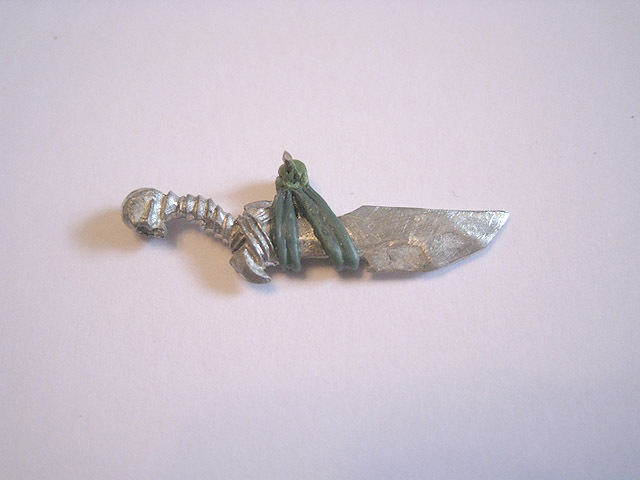 Having moved the sword to the Orc's right hip, I added a small looped strap around the belt for the sword to hang from. 4. 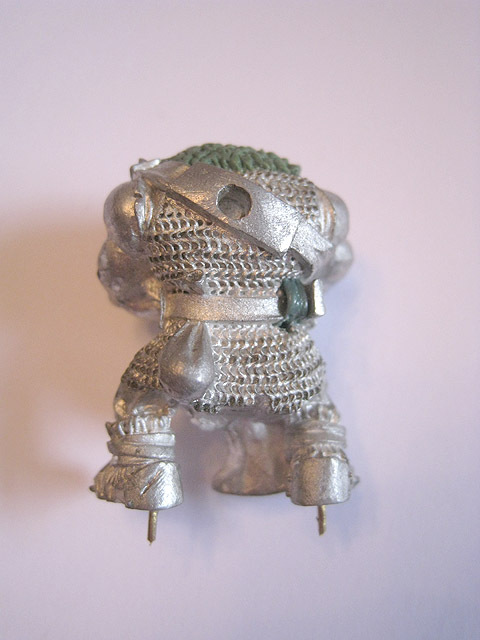 Rear view of the Orc without his shield and sword. 5. Some minor Green Stuff sculpting was needed to fill in missing details on the strap around the sword. 6. Reverse view of the sword. Most of this detail will end up being obscured once the sword and shield are glued in place, but I wanted to be thorough. 7. 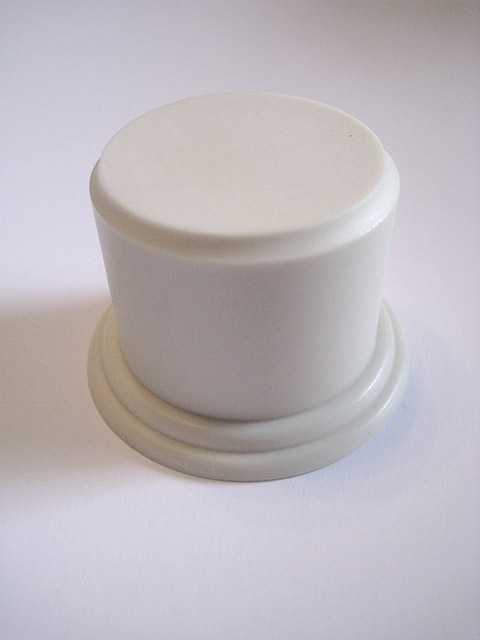 I ordered a resin display plinth for the model. 8. 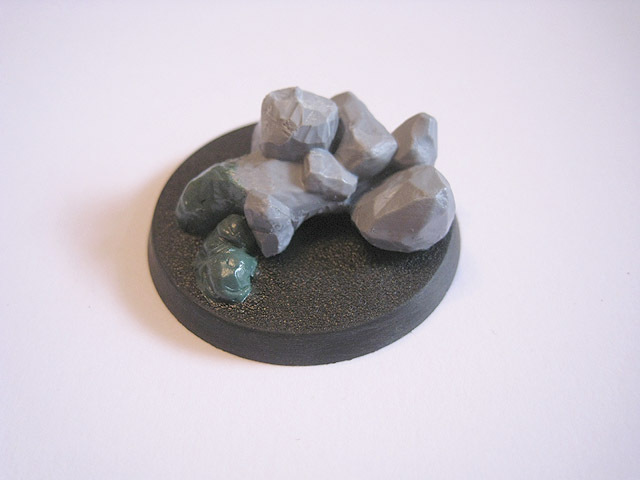 An early WIP shot of the scenic base for the Orc and his attendant Goblin.